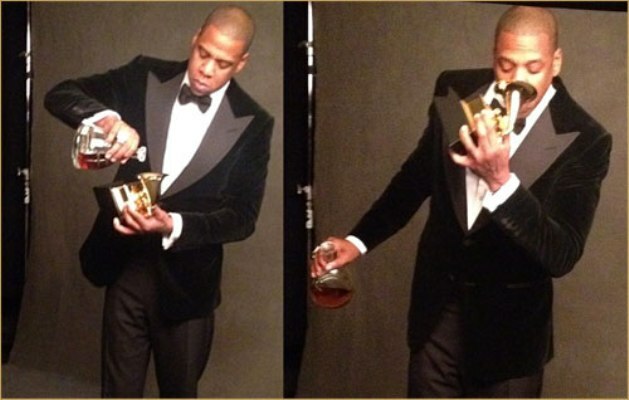 Instead of a fancy champagne glass Jigga used his Grammy Award to celebrate. This entry was posted in Gossip and tagged Frack Ocean, Grammy Awards 2013, Jay-Z, The Dream. Bookmark the permalink.